Looking for something new for the little ones in your life? 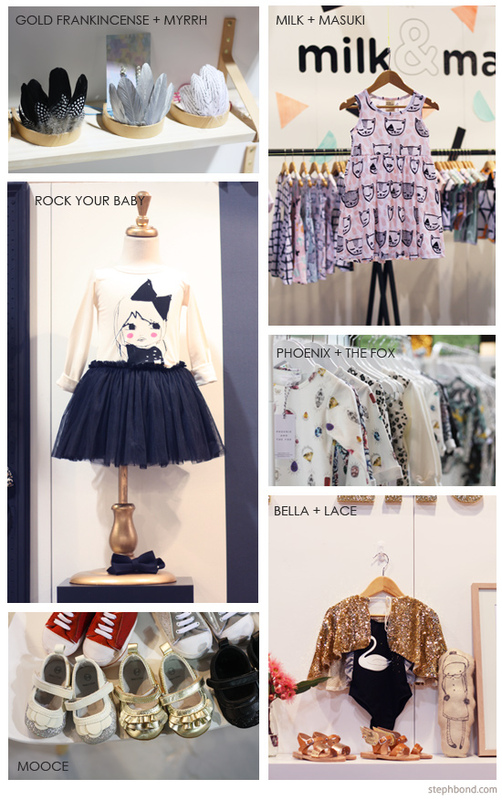 Here are some of my favourite Australian-designed kids' fashion finds from the Kids InStyle Sydney 2015 trade show. This isn't an exhaustive list, but a great starting point to hunt down beautiful clothing for babies and kids that is designed locally. Huxbaby: Beautiful quality unisex clothes for babies and toddlers with bold graphic prints (and lovely designer Jennifer Admon). Hunter Baby: Contemporary classics, now designing for both boys and girls - these are timeless designs. Milk & Soda: The Australian leaders in kids' accessories - this felt hat was phenomenal. Gold, Frankincense & Myrrh: Lovely children's accessories including handmade headpieces. Rock Your Baby: Working with illustrators from around the world, Rock Your Baby/Rock Your Kids always creates pieces that are quirky and fun. Milk & Masuki: This is my favourite collection yet from Milk & Masuki - the cat print is a stand-out and everything in the collection is amazing. See my favourite piece from Kids InStyle, designed by Milk & Masuki right here. Phoenix and the Fox: Best In Show for me! Cool designs for babies to age 4 by this brand new label, designed and made using organic cotton entirely in Australia. More here on Bondville. Bella and Lace: Golden Age Glamour and glitz along with some very sweet Australiana embroidery and prints. Mooce: Some of the cutest shoes for toddlers, designed in Brisbane by Petra from Mooce. Also beautiful quality clothing for kids. 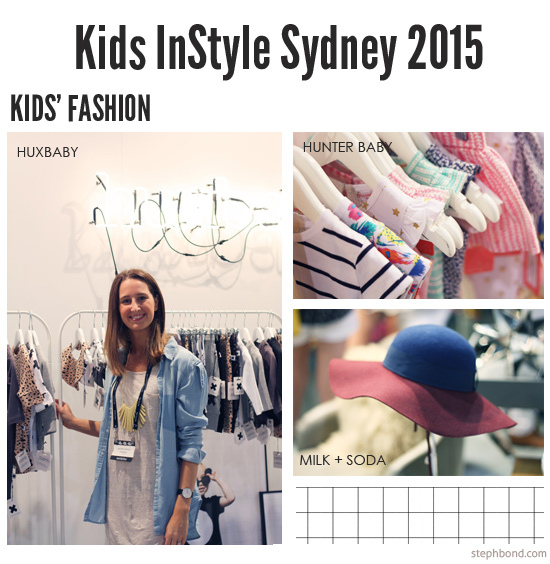 Coming up... gorgeous interiors finds from Kids InStyle and Life InStyle Sydney 2015.